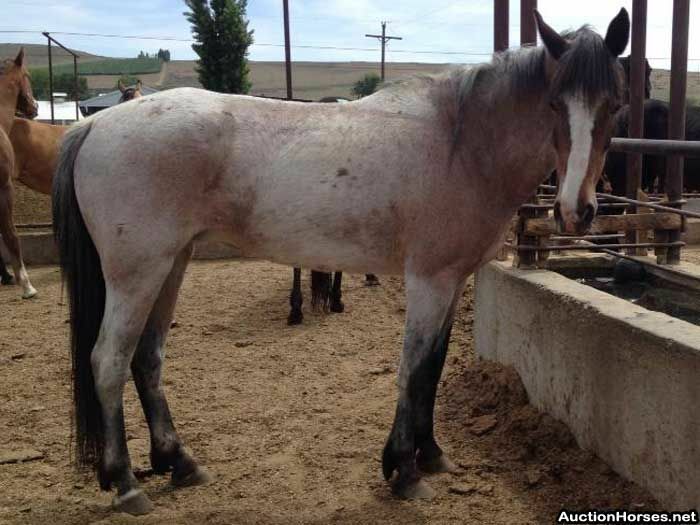 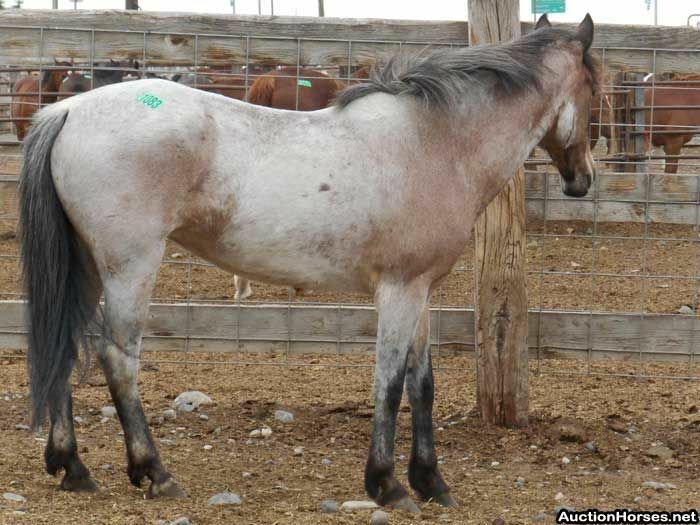 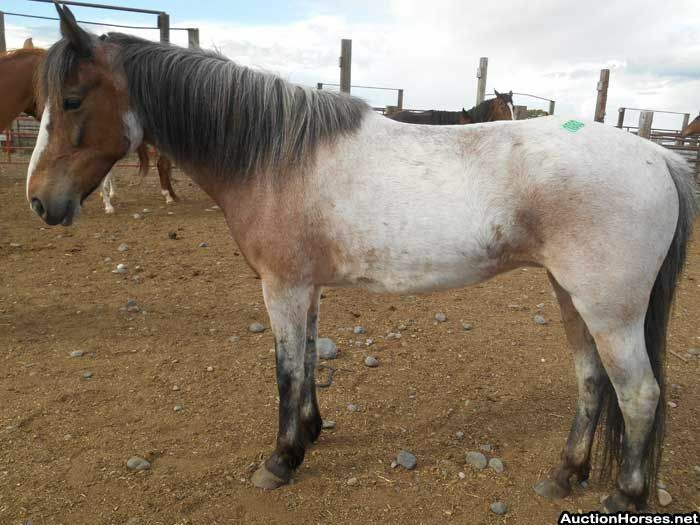 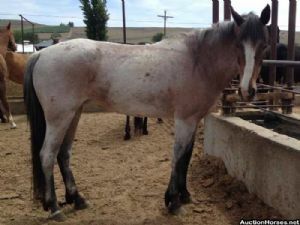 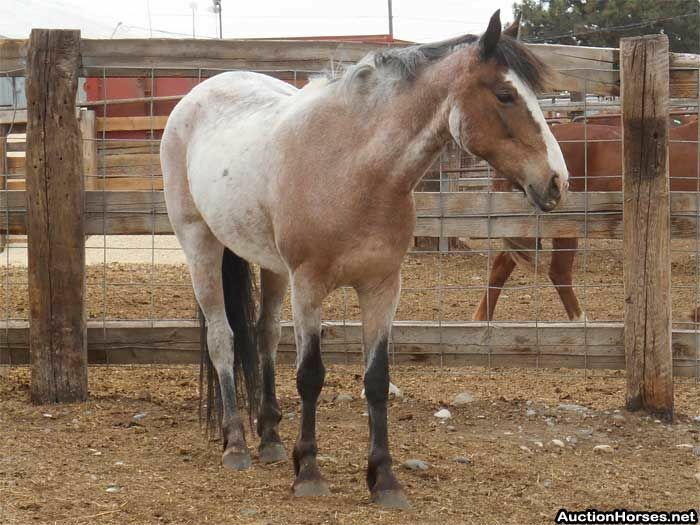 Java is an approximately 5 year old bay roan mustang (not BLM) mare. 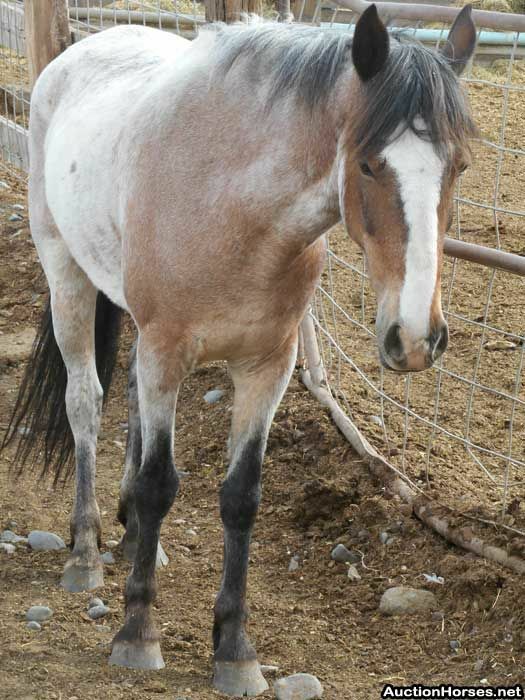 She stands about 14.1 and has a good build. 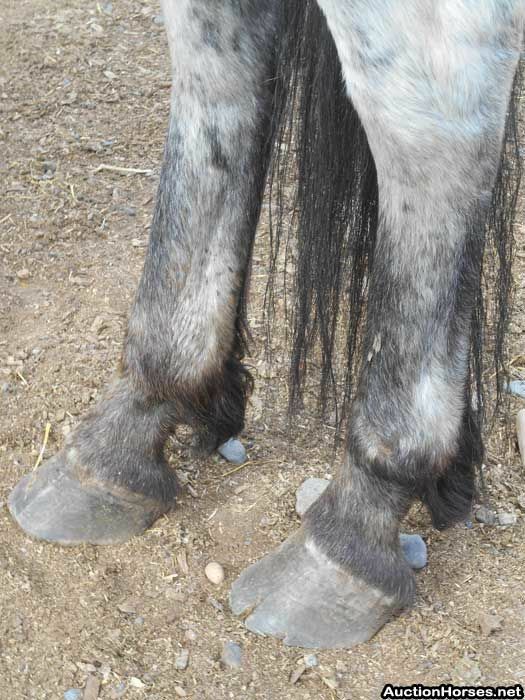 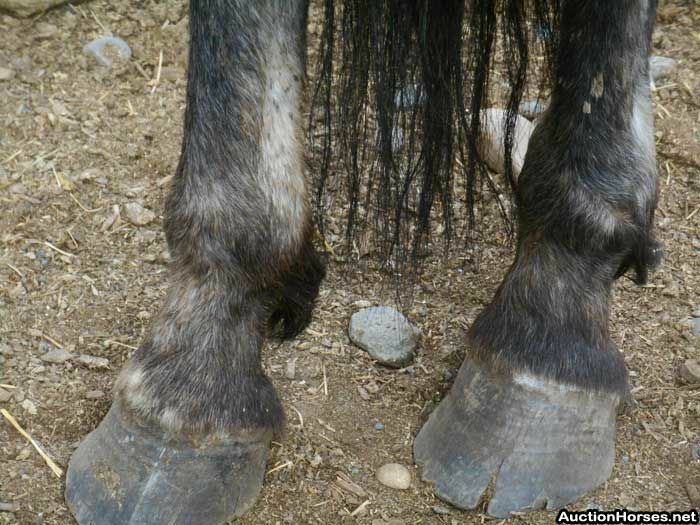 She is sound, and healthy, but her feet are overdue with cracks and she has a lump on the outside of her left hind fetlock. 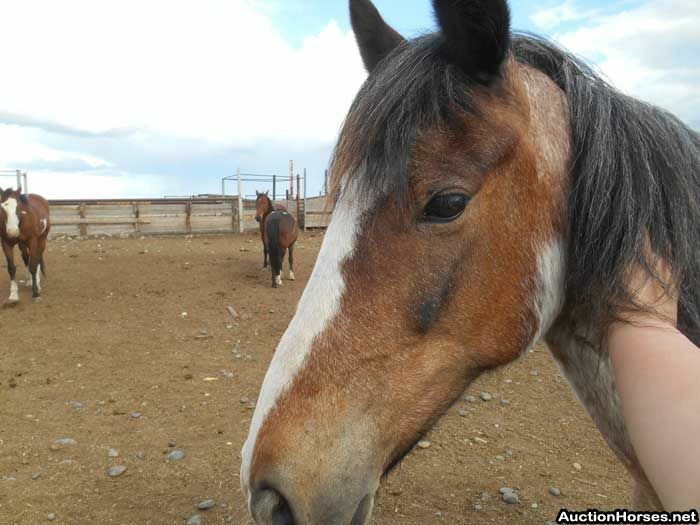 This mare warmed up to me fairly quickly and then she was my best buddy. 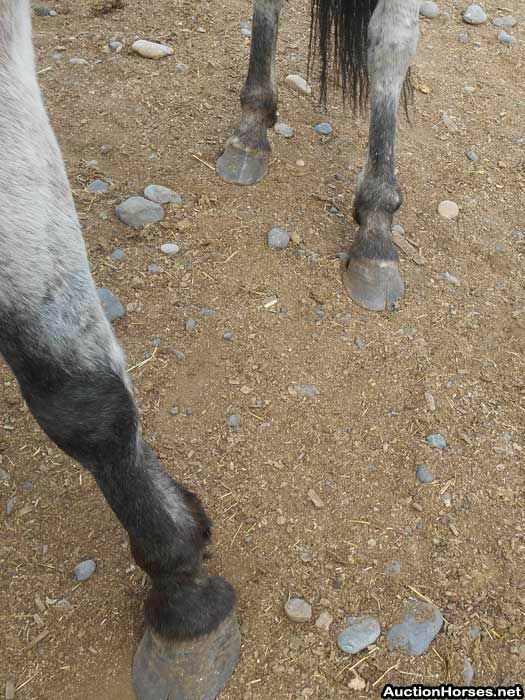 She is well mannered, picks up her feet nicely, and has a shaved bridle path.